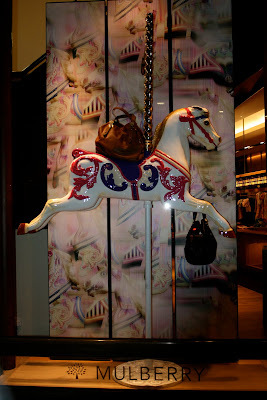 The current Mulberry windows, in Knightsbridge are carousel themed. 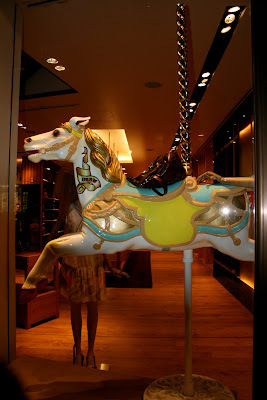 With vintage horses, given a fresh coat of glossy paint. An aesthtically pleasing display, which ran through the windows, and foyer.